Extreme ECO Solar Charger works with Maxwest Android 320! Doubles as a PowerBank that's almost indestructible, Bright LED Light, Rapid Fast Turbo Speeds! (2.1A/5600mah) by Success4Sport at DJ Luu. Hurry! Limited time offer. Offer valid only while supplies last. Extreme ECO Solar works with Maxwest Android 320 fits on any Window/Travel item. Has Rapid Fast Turbo Charging Power Bank with LED Light! EXTREME durability yet easy and quick to use for your Maxwest Android 320 SmartPhone! ONLY Solar Charger you will need! Very Shockproof, Waterproof, Dustproof, Slip-proof, Fire-proof! Works in most ALL Extreme Situations, has built in LED Lights, rapid 2.1A charging as well! Includes: Micro USB Cable, Carabiner, Suction cups, Retail Box, may use with your original cable. *BUY NOW - SUPPLIES ARE LIMITED! If you have any questions about this product by Success4Sport, contact us by completing and submitting the form below. If you are looking for a specif part number, please include it with your message. 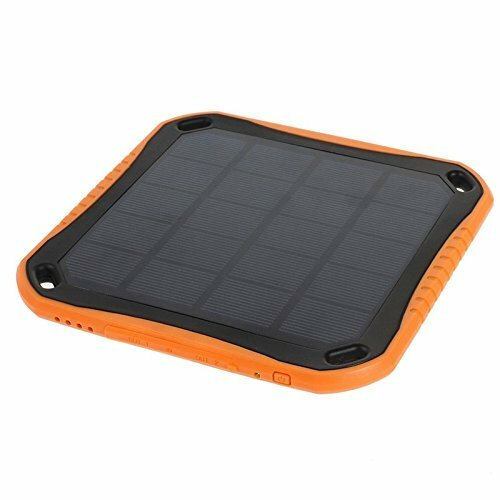 CHOETECH Solar Charger 14W USB Foldable Solar Power Charger SunPower Solar Panel Waterproof Camping, Hiking, Traveling, Compatible iPhone X/ 8/7/6s/Plus, iPad Pro/Air 2/Mini ECT.